For those who want to explore Montreal while winding their noses, cycling is an ideal alternative. With rental centers all over the city, almost 500 km of bike paths and numerous stopovers where to eat and drink, the cycling tours have its odds. If you want to enjoy your vacations, your activities have to be various, and, of course, different from your daily routines. Montreal offers you a plenty of choices but visiting the city by bike is on the top of the choice. Practicing sports while having fun is, yes, possible. Indeed, there’s nothing like a good bike ride in Montreal. The more sporty ones will have at their disposal more than 350 km cycle tracks. You can visit the Belvedere of Mount-Royal. Adventurers can even climb to the top of the Montreal Mountain that gives a breathtaking view of this charming city. What could be more soothing than admiring the picture of the St. Lawrence River? Biking along Lake Saint Louis also offers a scrolling scenery worthy of a postcard. You will meet the carefree side of Montreal to get a little out of the urban atmosphere. Apart from these tourist sites, several activities are on the menu. If you visit the country in May, you will have a great opportunity to participate in the Go Vélo Montreal Festival, a 130 km course for the bravest. In summer, cyclists come to St-Ambroise Terrace to enjoy the beauty of the sun. If you like to listen to music, the “tamtams du Mont Royal” event is a must. In September, you can also attend the Grand Prix Cycliste de Montréal. You can also make a picnic and stock up at the Atwter Market or Jean Talon. Choose your itinerary and put on the proper outfit. Besides, you can take a short break on the way. Numerous stopovers (snack, restaurant, etc.) are at your disposal. As the bike ride becomes more and more popular, whether for a holiday with family or friends, you can rent one. If your route is precise, opt for a rental of a Bixi that is to say a bike self-service like the Vélibs in Paris. The average fare is 10 to 12 $ for a day. For more sporting feats, it would be better to hire a mountain or road bike. The latter would be an ideal weapon for harsher rides. It’s up to you to choose how long you would rent the bike. In addition to the actual bike, it is possible to rent other accessories such as a helmet, an antitheft or even a bag to put your stuff. Some agencies even offer a map of the slopes and provide you with supervisors. If you go from time to time to Canada, choose the annual subscription. 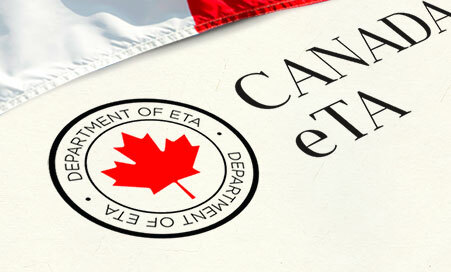 Do not forget to check if your electronic travel authorization has not yet expired. The update is done online and you can still visit the emblematic city of Canada. Next Post How can I get my ETA?